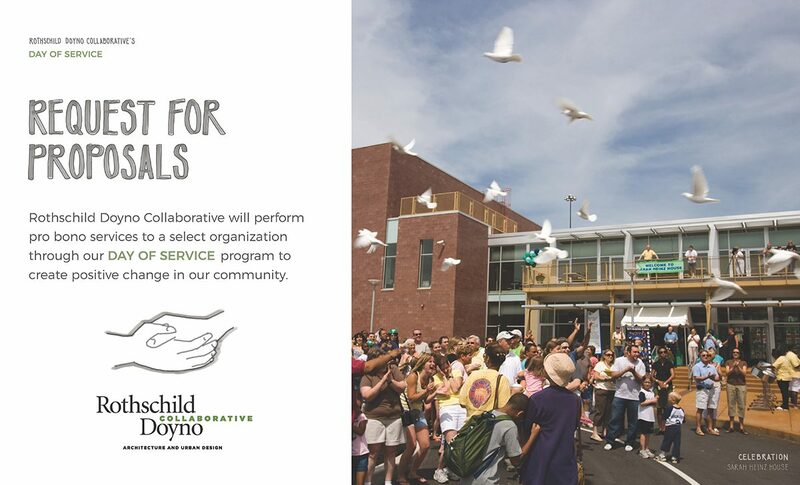 Rothschild Doyno Collaborative is thrilled to launch our Day of Service program. 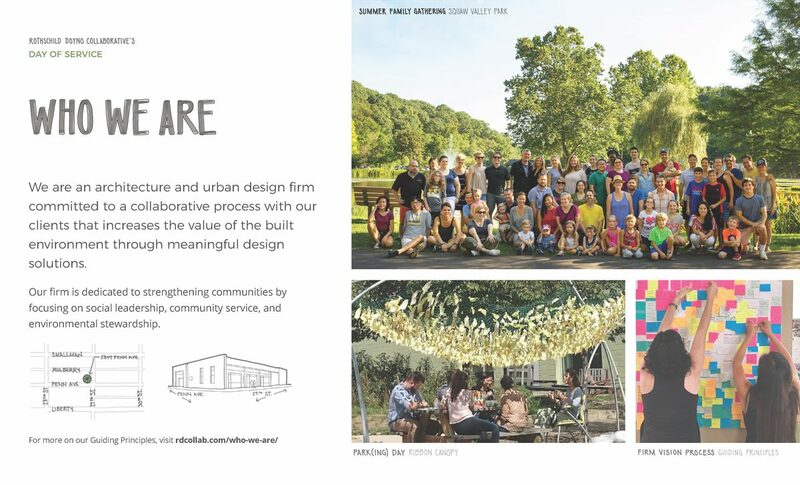 Our goal is to support an organization in the Pittsburgh region by helping them take the next steps in the development of their design vision, creating positive change in our community. For over 30 years, our firm has been dedicated to strengthening communities by focusing on leadership, community service, and environmental stewardship. 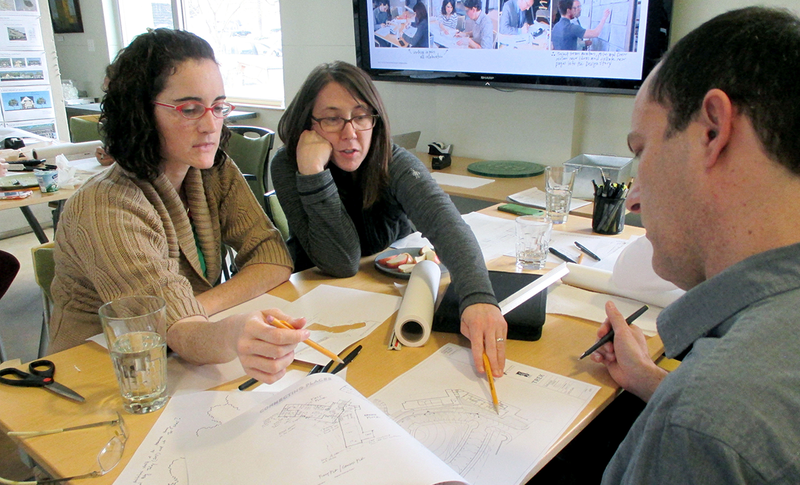 The Day of Service is a collaborative workshop with architects and designers to generate creative thinking around the design vision of a Pittsburgh-based organization. Our mission is to respond to a local organization’s needs and to advance their ability to continue to serve our region in a significant way. 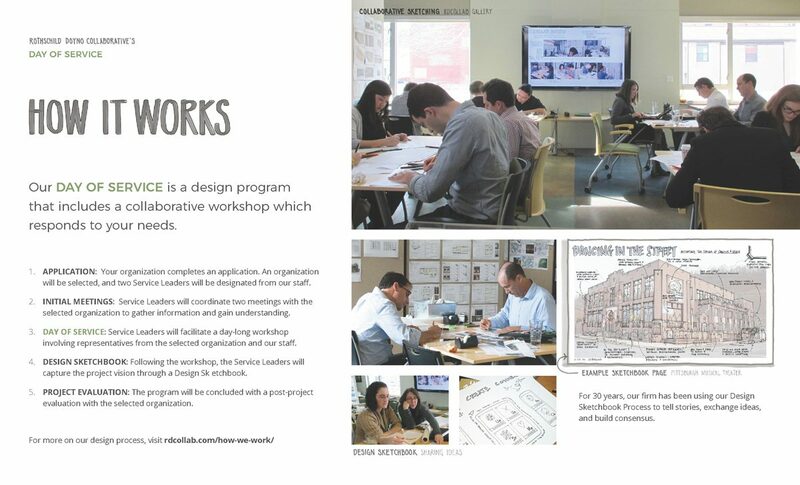 For more information about this program, please download our program booklet via the link below. 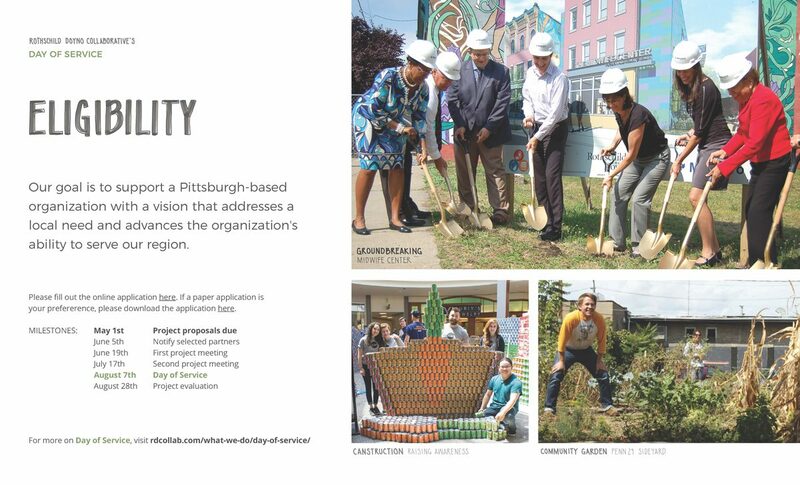 If you have any additional questions, please contact us by email at dayofservice@rdcollab.com or by phone at 412-224-6500. Copyright © 2019 Rothschild Doyno Collaborative. All rights reserved.